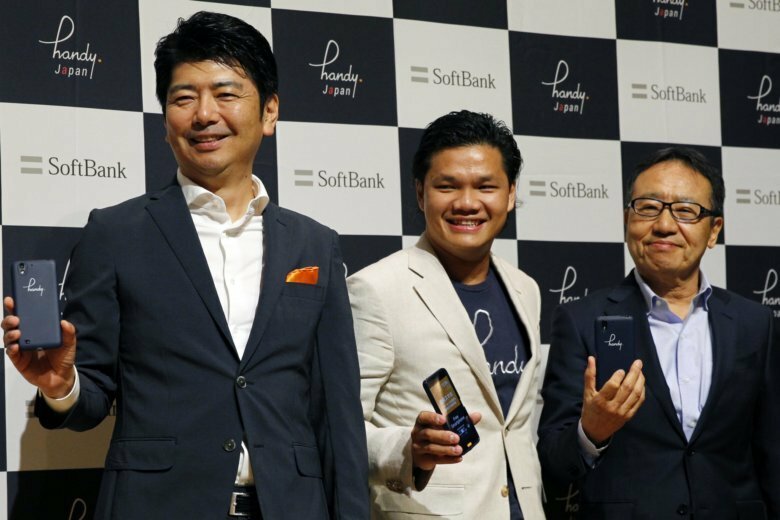 TOKYO (AP) — Japanese technology conglomerate SoftBank is investing in a mobile device service for hotel guests, called handy Japan, offering tourist spot information and internet access. Handy, developed by Hong Kong-based Tink Labs, is available in 650,000 rooms in 4,000 hotels in 82 countries. It rolled out in Japan last July and has been adopted by 1,700 hotels and 240,000 rooms, about a third of the nation’s hotels, both sides said. Handy works as a complimentary smartphone rental service. The device can access a hotel concierge, connect to the internet and make local and international calls. It also provides multilingual city guides. “With SoftBanks’ support, the goal is to go beyond that. It’s more than just hotels,” Terence Kwok, founder and CEO of Tink Labs told reporters at a Tokyo hotel. “It’s really helping us become the single ecosystem for all of travel, encompassing the entire journey of the traveler from end to end,” Kwok said. SoftBank’s investment will go toward developing “Internet of Things” or IoT services for handy devices, including keyless room entry, automated checkout and smart in-room controls. Through the collaboration, handy Japan devices will also feature a virtual reality media platform and travel features like taxi call services and disaster warning notifications. Hiro Katsusue, CEO of handy Japan said the device can help streamline hospitality services amid a tourism boom as the 2020 Olympics approach.